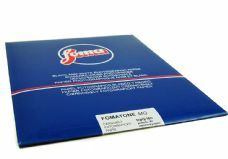 Fomatone Warmtone RC is a Variable Contrast paper on a Resin Coated base. Ideal for photographers under time contstraints looking for the classic warmtones without the using the Fomatone FB papers. As an RC paper it may also be processed in RT machines. An excellent alternative to Ilford MG Warmtone RC. Offered in three surfaces, Gloss 331, Matt 332 & Lustre/Velvet 332. This paper is available to special order - please ask about our best prices and availability.